COLLINGWOOD, ON – The currently under construction Side Launch Brewing has announced details of its debut beer – although despite being from a brand new brewery, it’s a beer that many Ontario craft beer drinkers will already be familiar with. 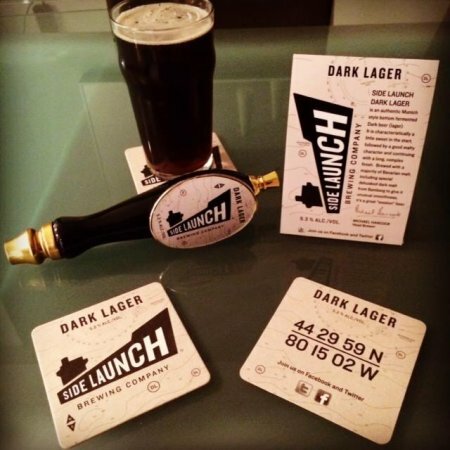 Side Launch Dark Lager is a rebranded version of Denison’s Dunkel, a beer that Side Launch brewmaster Michael Hancock created at the original Denison’s Brewpub in Toronto, and which in recent years has been brewed under contract at Cool Brewing in Etobicoke alongside Denison’s Weissbier, both to Hancock’s own recipes. An authentic Munich style bottom fermented dark beer, it is characteristically a little sweet in the start, followed by a good malty character and continuing with a long, complex finish. It is brewed with a majority of Bavarian malt, including special dehusked dark malt from Bamberg to give it unusual smoothness. It’s a great “session” beer. Side Launch Dark Lager will continue to be brewed under contract while construction of the Side Launch brewing facility in Collingwood is completed. It will soon be joined in the line-up by Side Launch Wheat – a new name for Denison’s Weissbier – and a brand new Pale Ale.